FTP (File Transfer Protocol) client is a must have software for most of the web developers or webmaster. Web Masters using GNU/Linux based operating systems such as Debian, Ubuntu, Linux Mint, Fedora etc often manages their web servers without any graphical or C-panel like interface, rather they use SSH (Secure Shell). 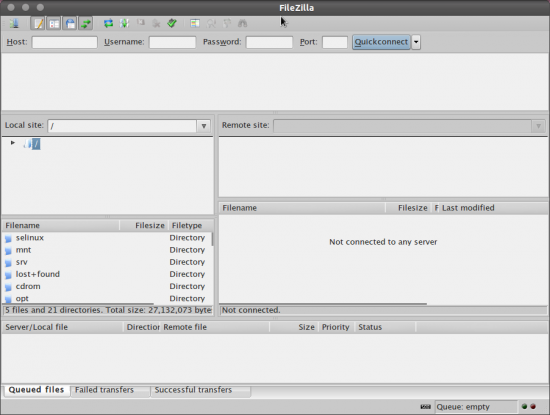 FTP comes in handy in both of the cases – it doesn’t only upload files to remote servers but can do a lot of other things such as Deleting a File, Changing File Permission, editing/saving file directly, in an easy way. Refer to official site for all features. 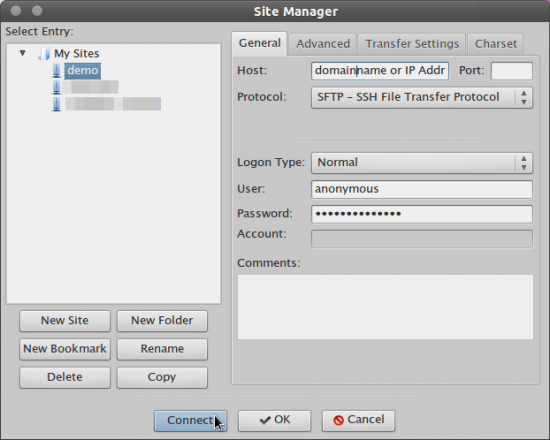 Click on Site Manager Icon (Top Left corner) -> New site and add the FTP/SSH account details such as host name, port (leave it default/empty if you are not sure), FTP or sFTP (Recommended, because it is more secure, but it may be little slower).